We understand all aspects of hair loss and for over 25 years have been providing the answer – hair replacement Walsall requires no surgery and the results are fantastic. if you are looking for a hair loss clinic Walsall to provide a full head of hair and put an end to your hair loss or pattern baldness worries then we are sure we can help. 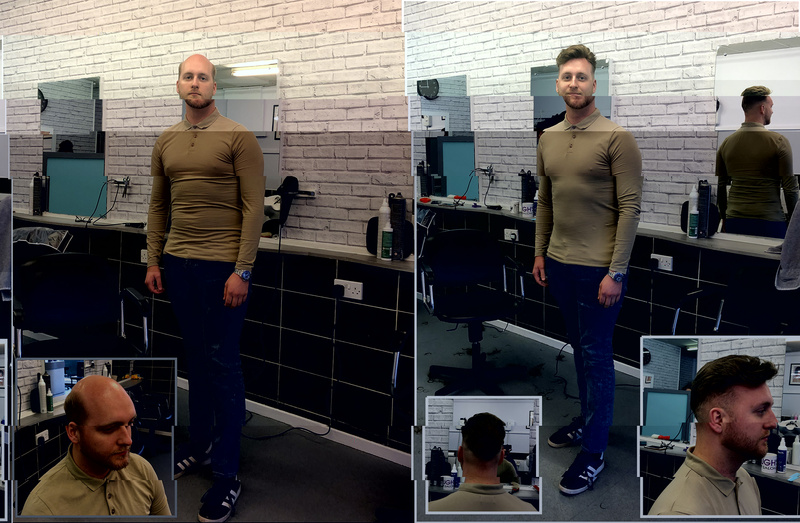 Non surgical hair replacement systems are used the World over as the answer to hair loss and the final results we can achieve can be seen on the photos below – our video is also worht a watch and shows the process. We offer free consutlations from our head salon in Wolverhampton and welcome all enquiries and questions that you may have. There is no magical cure for hair loss and trust us we have seen them over the years! – many of our clients have tried all the tricks and positions, even considering surgery!. A hair replacement Walsall really does provide a full head of natural looking hair is comfortable to have fitted and blends with existing hair if you have pattern baldness or thinning hair. For non surgical hair loss treatment look no further than us fo a hair loss clinic Walsall. Normally you can have the system fitted within 7 days for a stock system – or if you wish to have a complete made to measure then this is a 6-8 weeks wait. The fit involves cutting and styling, which can be seen in details on our video above. Our experienced stylist take pride in every client and ensure the results are natural and suit you. Our head salon is in Wolverhampton city centre and we have been providing hair replacement Walsall for clients from all over the UK for a number of years. We are only a short journey from Walsall and have parking available (please book in advance), we are also only a short walk from the main train station and bus depot. Click here for directions to us! – we are approx 20 min drive.